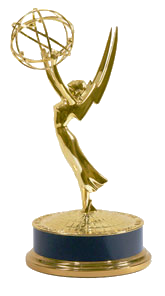 Loma Linda University won three Emmys at the Pacific Southwest Emmy Awards on June 26. The awards are for the university's documentary-style program called "Loma Linda 360." "Surgeons of Hope" is about a teen boy born with a fatal heart disease in Nicaragua who has to have open-heart surgery. "Armed for the Challenge" is about a man training to compete in the physically challenged triathlon USA championships. "PossAbilities" is about four people who discover that no matter how people treat them, they can still reach their goals. Loma Linda 360 will be replaced by a new show, "Life on the Line." The new series will tell the stories of people whose lives are on the line. See a preview of the new program.